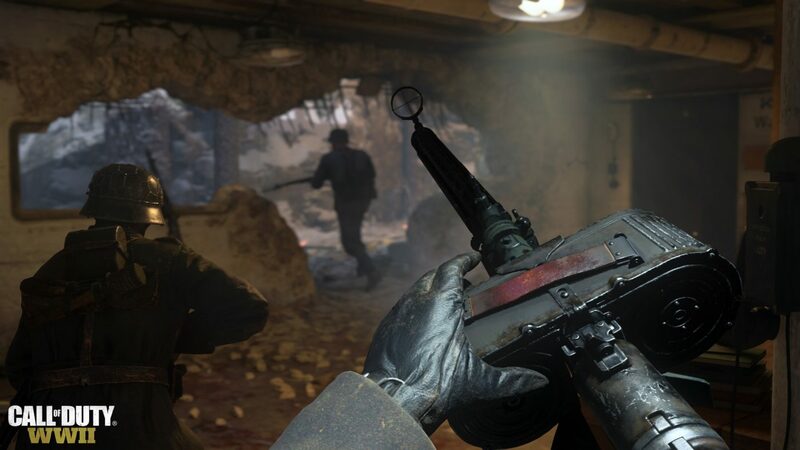 Sledgehammer Games’ Michael Condrey has once again taken to Reddit to discuss possible changes coming to Call of Duty: WWII. Condrey and his team have been monitoring players closely, both in-game and externally. The Call of Duty community has always been very vocal about what they love and hate, and the beta has provided a great opportunity for useful feedback to be gathered. As you know, we added a new mode to the Mosh Pit playlist – Kill Confirmed. For those of you who haven’t yet played, we encourage you to hop in and try it out! Mosh brings all of the fan favorite modes, now including KC. Its a great boots on the ground game mode, and the match data we’re getting is really helpful. So please be sure to spend some time in Mosh today. We’ve also noticed a number of you commenting that raising the PT score to 100 for TDM might be sub optimal. This was a community ask, and it felt like a good time to compare it to weekend one. We’ve spent nearly 3 years playing, and 75 felt better to us. By the end of weekend 2, we’re looking to lock the decision, so please let us know your thoughts. Some of you have expressed concern about the range play needed for the Aachen map. Personally, I enjoy Aachen within the larger map rotation we play at SHG. That said, we’re listening and may make some map changes as a result. Thanks again for staying constructive, it really helps! Many of you have commented that you love the changes we’ve made to sprint-out to ADS times. We’re glad we were able to improve this and that you’re enjoying it much more. We’re talking about flinch tuning as well, though we don’t have anything concrete to share yet. The M1928 is getting a lot of love. It is one of the most iconic weapons of WWII, and it’s great to see it in match. We’re glad you are enjoying playing with it. It’s a popular SMG at the studio. Though not the most popular. The Airborne Division prestige unlock weapon is pretty gassed. A lot of you have expressed that you love the main menu music. Thank you so much for noticing all the extra creative touches we’ve added. We had a lot of amazing recording sessions with a phenomenal orchestra at a premier symphony location in Nashville. I know they will be glad to hear about all the positive reactions the music is receiving! If you’ve got any feedback to give, be sure to fill out this survey. Happy with this list of changes? Sad for the beta to end?